On the morning of April 19th, Exchange Symposium between Hunan University Law School and Peking University Law School was successfully held in Room 307, Koguan Building. 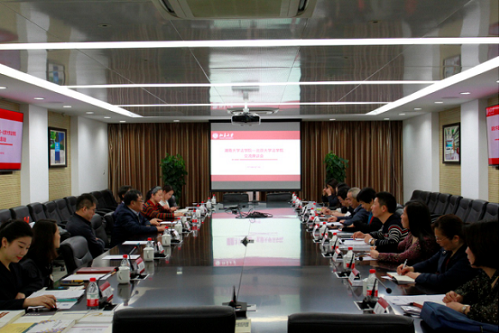 Prof. Qu Maohui, Dean of the Hunan University Law School, Vice Party Seceretary Fu Rongfang, and Deputy Dean Nie Zilu, Zhang Shouwen, Dean of Peking University Law School, Party Secretary Pan Jianfeng, Vice Party Secretary Lu Jiangnan, and relevant leaders of the two schools attended meeting. First of all, the two sides introduced the members attending this forum. 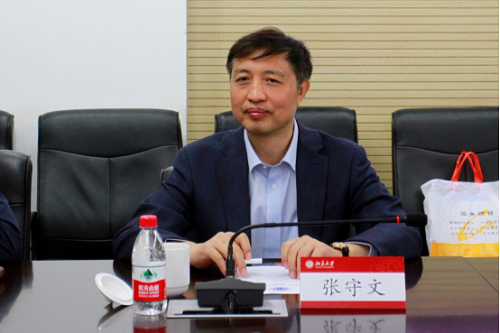 Dean Zhang Shouwen expressed his warm welcome of Peking University Law School. He pointed out that at the time of the 120th Anniversary Celebration of Peking University, the visit of the Hunan University Law School provided a good opportunity to communicate and learn between the two universities and the two schools. Subsequently, the two sides conducted in-depth and detailed exchanges on issues of their own concern. After an in-depth understanding of the specific conditions of their respective law schools, the two sides exchanged views on issues such as legal education and personnel training. 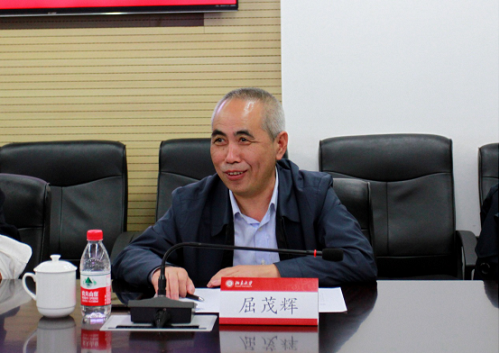 Prof. Qu Maohui gave a detailed understanding of the internship situation and subject setting of undergraduates in Peking University Law School, and praised the outstanding achievements of in the construction of legal clinics and legal practice education. 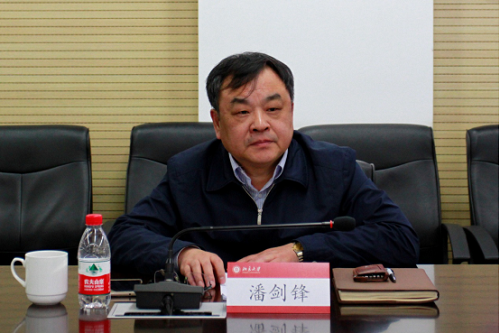 Afterwards, Party Secretary Pan Jianfeng introduced the training model for undergraduate and master students. The two sides exchanged experiences on student training objectives and teacher teaching methods. And they reached consensus on that legal education should combine different stages of learning characteristics to implement teaching methods and carry out relevant courses. Finally, the guests visited the Peking University Law Library and the Legal Clinic Office. The quiet and clean environment and the serious academic atmosphere left a deep impression on all guests. The exchange ended in a cordial and friendly conversation between the guests of both parties. This forum provided an advantageous platform for the two schools and the two universities to learn from each other, and provided an opportunity for the two sides to exchange experiences and communicate ideas. This effectively promoted the sharing of information on law education and talent cultivation in the two law schools. At the same time, this exchange proved that Peking University Law School plays an important role in China and established a good external image for all other law schools.